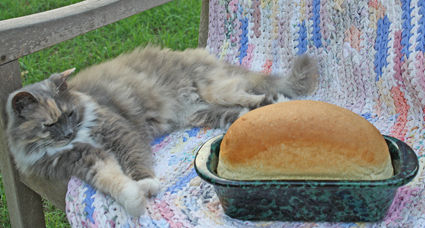 Baking a loaf of bread can be tricky I've found. The funny thing is the bread can be nice and brown on top but still not be done in the middle...i.e. gummy in the middle. To avoid the "gummies", purchase an instant-read thermometer. When the regular baking time is up, remove the bread from the oven. Place a kitchen towel on the counter. Tilt the pan slightly to the side onto the towel. The bread will slide out a bit so you can see the side of the loaf. Stick in the thermometer. The temperature in the middle should be from 190 degrees F to 210 degrees F. If the thermometer does not read at least 190 degrees F, put the bread back in the oven for another 10 minutes, then check again. If you're worried the bread is getting too brown, make a "tent" of a piece of foil and place it on top of the loaf while it bakes. 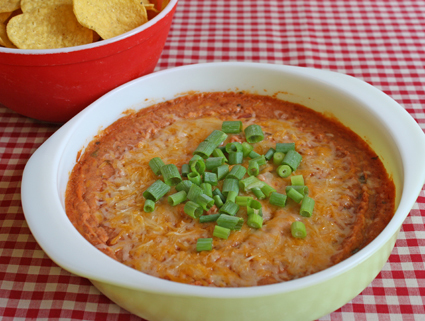 This yummy Mexican bean dip reminds me of cool weather and football games! With just four ingredients it's a cinch to make. 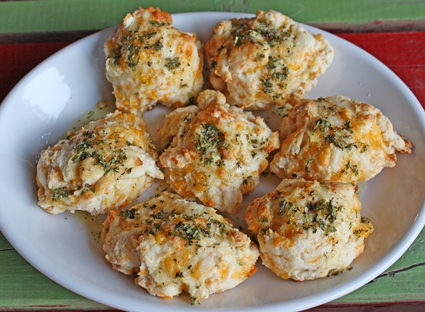 Great for a game day buffet. 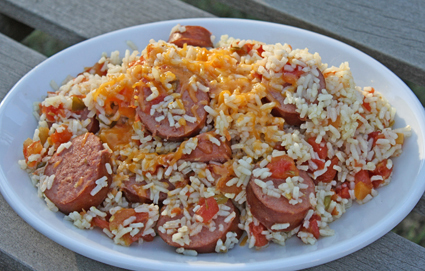 Mix refried beans, chunky salsa, and 1/2 cup of the shredded cheese. Spread into a 9-inch microwavable pie plate; top with remaining cheese. Microwave on high 2 to 3 minutes until dip is heated and cheese is melted. Sprinkle with chopped green onions. 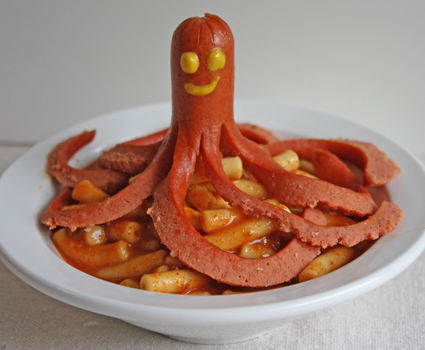 Serve with chips. Enjoy! For an easy snack serve leftovers on a warm flour tortilla. If you prefer a hotter dip, add one or drops of hot sauce. Don't have a lemon zester? 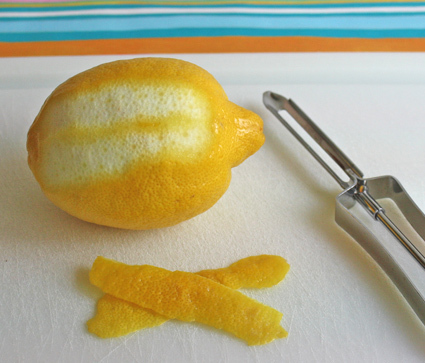 Here's a quick and easy way to make zest from lemons, limes, oranges etc. Use a potato peeler and "peel" the fruit being careful to peel just the skin, leaving the white pith underneath (you'll get nice, large pieces) then chop the peels on a cutting board.